Justin Smith righteously writes about a couple of Muslim gals (Muslemas) who incredulously managed to get elected to Congress. Putting it simply, these Muslim gals are a couple of Islamic Supremacist Jew-Haters. Dual loyalty and anti-Semitism against Jews and supporters of Israel came to national attention recently over remarks made by freshman Congresswoman Ilhan Omar, a refugee from Somalia, who suggested that Jews were more loyal to Israel than they are loyal to the United States, and it is enough to make one laugh to keep from crying, if it were not so serious. Not only is Judaism not the problem in America, not the religion of terrorists seeking to destroy America and subjugate Her, but if anyone’s loyalty to America should be questioned, let’s look at these Muslemas, such as Omar, Representative Rashida Tlaib and Islamic supremacist and activist Linda Sarsour, whose own loyalties regularly appear to lie with Somalia, Iran, al Shabaab, Hamas, Hezbollah, Gaza and the mythical country of “Palestine“; and perhaps not so ironically, all Americans will see that Muslims born here and living here a majority of their lives are not assimilating as well as the “experts” would have us believe. Tlaib also charged Jews with harboring dual loyalty in January, when she said political supporters of Israel “forgot what country they represent“. Omar, now 37, has lived in America since age eight, and that makes it all the more interesting that just weeks after her election, on December 20th 2016, Omar was in Mogadishu, Somalia with its president, Hassan Sheikh Mohamud, and she went on to also meet with her husband to be, Ahmed Hirsi, and his friend, former Prime Minister Mohamed Abdullahi Mohamed, also called “Farmajo“, who is also a U.S. citizen and now Somalia’s new President. On March 17th, Representative Rashida Tlaib, an American Palestinian-Muslim, who took her Constitutional Oath on the Koran and wrapped herself in a Palestinian flag after her election as she promised to “impeach the mother ****er” (Pres. Trump), is speaking in Livonia, Michigan, alongside Imam Omar Suleiman, who supports executing homosexuals and hijabs for women to avoid incestuous relationships. She also is tied to many other Islamic supremacists, associates of terrorists and terrorist organizations, such as the Muslim American Society and CAIR, front groups for Hamas and the Muslim Brotherhood, and Jamaat-e-Islami and the Islamic Circle of North America. On March 23rd, Rep. Omar will speak at the Los Angeles CAIR event, the 4th Annual Valley Banquet, where she will meet with Islamist Hassan Shibly (CAIR of Florida), who actively supports Hamas and Hezbollah. She will rub shoulders with the director of CAIR – Los Angeles, Hussam Ayloush, who blamed United States’ policy for the Islamic terror attack on San Bernardino. On March 6th, speaking in Arabic, Linda Sarsour ordered her Islamic thugs of CAIR to block Asra Nomani, a journalist and leader in the Muslim Reform Movement, from entering Rep. Rashida Tlaib’s office, behind her, Islamist Jinan Shbat and Nihad Awad, executive director of CAIR [Blog Editor: On same day Sarsour posed for photos with CAIR thugs in Rep. Ilhan Omar’s office], as they wished to discuss their anti-Semitic views with Omar in private. So, we now see Islamic thugs controlling the Halls of Congress. 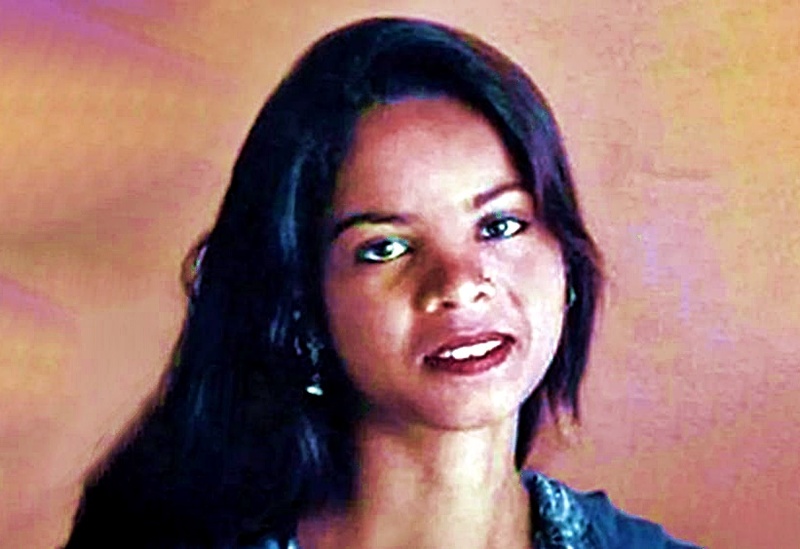 Nomani was a friend of Daniel Pearl, Wall Street Journal reporter, who was abducted and murdered in Pakistan. She was in Pakistan at the time and made sure his story was front and center in the news and his memory honored. Pearl’s brutal beheading and his friendship with Nomani meant nothing to these anti-Semitic Sons of Mohammed, who mistreated her. Many Republicans and even a few Democrats stated that Omar should have been named in the resolution. Pelosi asserted, “It’s not about her; it’s about these forms of hatred.” Pelosi simply has chosen to ignore Omar’s long pattern of these sort of anti-Semitic statements. And so, rather than censure Ilhan Omar, a Somalian Muslim, and others in Congress for their anti-Jewish anti-Semitic words and deeds, Speaker Nancy Pelosi and the Democratic Party had to take an entire week to condemn all hate and also “anti-Muslim discrimination and bigotry against minorities.” Talk about a weak resolution and losing focus. It’s not the Jewish religion and Israel that are engaging in terrorism worldwide and committing one terror act after another in America. It is Islam and Muslims to the largest extent. How remarkably disingenuous of the Democrats to presume to tell Americans that we must be tolerant of the intolerant Muslims who reject the very principles named in this miserable farce of a resolution. These Muslemas, who so benefited from the system they hate, have absorbed the Islamic propaganda they were spoon-fed from childhood. And now fully indoctrinated, they speak like foreign representatives from Muslim nations, always blaming America, Israel and “the Jews” first, before anything else. They call good “evil” and evil “good”, while hating America and Israel for having the strength of conviction and virtue to stand in the face of the absolutely unequivocally proven evil ideology of Islam. Nothing is made clearer by the examples of Rep. Ilhan Omar, Rep. Rashida Tlaib and activist Linda Sarsour that too many in the Muslim-American community have failed to adopt Western values, while they prove, despite contrary assertions, that it is never a good idea to accept individuals into America whose values and customs are so antithetical to U.S. principles and American culture. And although they would have been better served to have stayed in the Middle East, America still has legislators bound and determined to impose policies of identity politics and multiculturalism, that allow refugee communities to isolate themselves and essentially refuse to assimilate. Americans will not be surprised, once they witness Omar, Tlaib and Sarsour and their associates continue to form tighter bonds with Islamic supremacist connections and utter more anti-Semitic rhetoric. These Muslemas are unassimilated Islamofascists who have rejected the American way of life and our American traditions, culture and heritage, with the blame, in part, lying at the feet of U.S. policies that defer to the customs of the homelands of refugee communities. 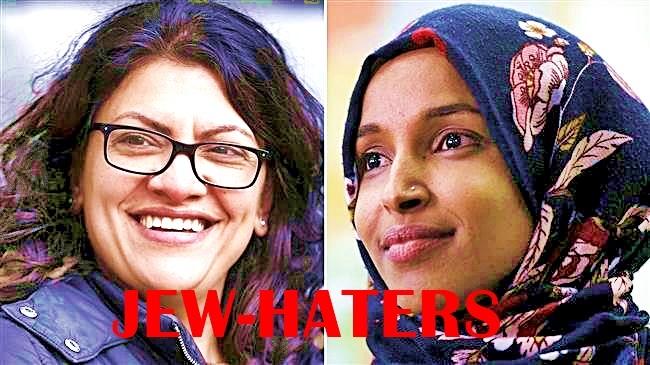 And if we continue to allow Muslims to immigrate to the U.S. and ignore their anti-American customs, America will surely see many more Omars and Tlaibs join the ranks of Congress, with their hatred for America’s founding principles and America Herself. Source links and any text embraced by brackets are by the Editor. 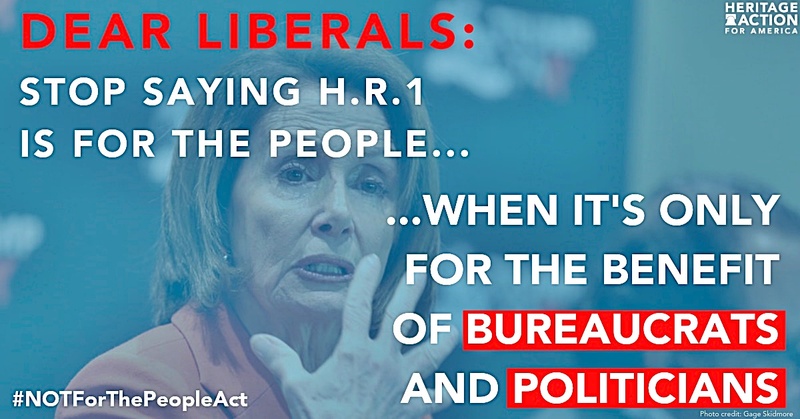 If you haven’t heard already, you will probably a lot of promotion of Rep. (Speaker) Pelosi’s HR 1 named with typical Leftist deception, “For the People Act of 2019”. There is nothing for the people in this voting revamp-Bill. There is a load of destroy the American election process which among other things threatens 10th Amendment States’ Rights. Thanks to the Heritage Foundation, here is some must read information to counter the lying propaganda the Dems will be pitching for support. I am cross posting the Heritage Foundation email alert and a couple links within that email. The House will vote this week on H.R. 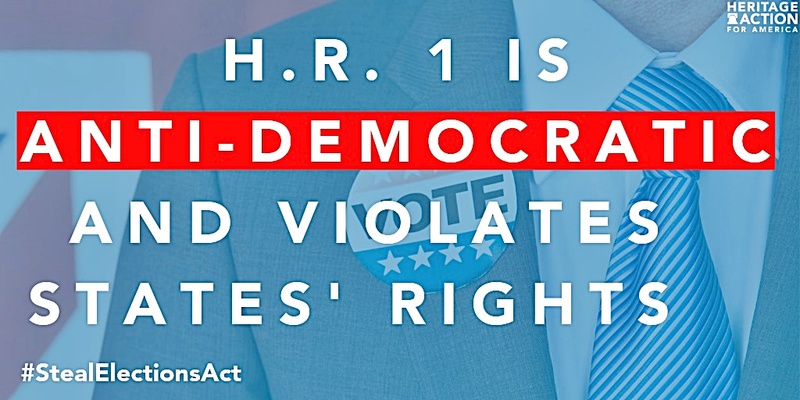 1, the Democrat-backed “For the People Act.” This deceptively-titled bill would strip the American people and state governments’ of their power to oversee their own elections and hand it over to the federal government. Democrats want to rig the election process in their favor without anyone noticing, and federalizing election oversight provides them the perfect cover to do so. >>> Click here for more information on this corrupt bill. Nancy Pelosi is using her new power in the House Democrat majority to weaken our election system for generations. She must be stopped. In order to shine a big spotlight on the issue, we are taking to Twitter this Wednesday—and we need your help. Please join grassroots activists nationwide on Twitter to expose this election fraud bill. 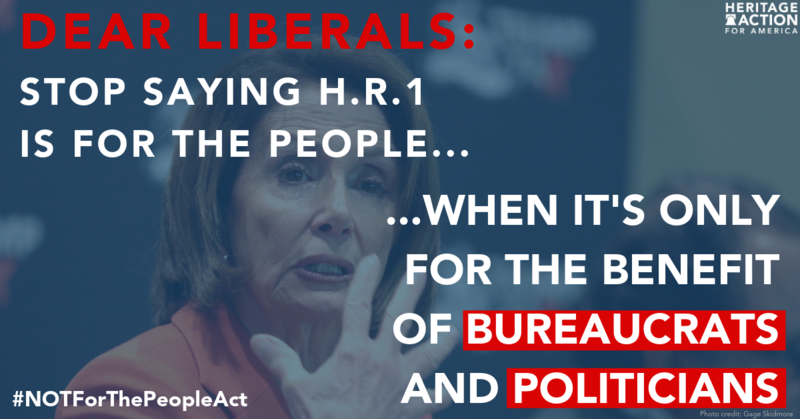 We need to send the message that the “For the People Act” is #NOTforthePeople. Join our #TweetFest on Wednesday, March 6 from 11 am – 2 pm ET to engage with our representatives with tweets urging them to vote against this anti-democratic bill. Check out our latest issue brief here to get smart on the issue. Let’s take over Twitter and show the liberals in Congress that America still stands for the First Amendment and is against their #NOTforthePeopleAct. Together, we can bolster the conservative coalition and make sure there are no conservative votes for Nancy Pelosi’s election fraud bill. H.R. 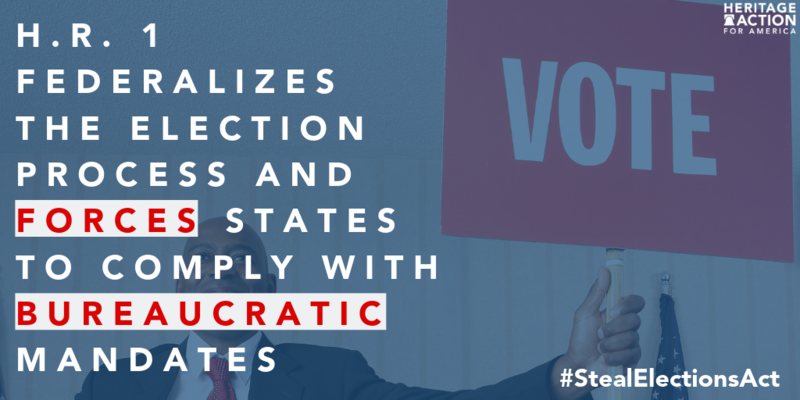 1 federalizes and micromanages the election process administered by the states, imposing unnecessary, unwise, and unconstitutional mandates on the states and reversing the decentralization of the American election process—which is necessary for protecting our liberty and freedom. The bill interferes with the ability of states and their citizens to determine qualifications for voters, to ensure the accuracy of voter registration rolls, to secure the integrity of elections, to participate in the political process, and to determine the district boundary lines for electing their representatives. R. 1 federalizes and micromanages the election process administered by the states, imposing unnecessary, unwise, and unconstitutional mandates on the states. The bill interferes with the ability of states and their citizens to determine qualifications for voters and to ensure the accuracy of voter registration rolls. R. 1 reverses the decentralization of the American election process—which is necessary for protecting our liberty and freedom. Seize the authority of statesto regulate voter registration and the voting process by forcing states to implement early voting, automatic voter registration, same-day registration, online voter registration, and no-fault absentee balloting. Make it easier to commit fraudand promotes chaos at the polls through same-day registration, as election officials have no time to verify the accuracy of voter registration information and cannot anticipate the number of voters, ballots, and precinct workers that will be needed. Hurt voter turnout through early voting by diffusing the intensity of get-out-the-vote efforts; it raises the cost of campaigns. Voters who vote early don’t have the same information as those who vote on Election Day, missing late-breaking developments that could affect their choices. Degrade the accuracy of registration lists by automatically registering individuals from state databases, such as DMV and welfare offices, by registering large numbers of ineligible voters, including aliens as well as multiple or duplicate registrations of the same individuals. Constitute a recipe for massive voter registration fraud by hackers and cyber criminals through online voter registrationnot tied to an existing state record, such as a driver’s license. Require states to count ballots cast by voters outside of their assigned precinct, overriding the precinct system used by almost all states that allows election officials to monitor votes, staff polling places, provide enough ballots, and prevent election fraud. Mandates no-fault absentee ballots, whichare the tool of choice for vote thieves. Prevent election officials from checking the eligibility and qualifications of voters and remove ineligible voters. This includes restrictions on using the U.S. Postal Service’s national change-of-address system to verify the address of registered voters; participating in state programs that compare voter registration lists to detect individuals registered in multiple states; or everremoving registrants due to a failure to vote no matter how much time has gone by. Cripple the effectiveness of state voter ID lawsby allowing individuals to vote without an ID and merely signing a statement in which they claim they are who they say they are. Violate the First Amendment and could cover a vast range of legal activity. Voter intimidation or coercion that prevents someone from registering or voting is already a federal crime under the Voting Rights Act and the National Voter Registration Act. But H.R. 1 adds an additional provision to prevent interference with registering or voting that is so vague that it could easily interfere with free speech and other lawful activity. Expand regulation and government censorship of campaigns and political activity and speech,including online and policy-related speech. H.R. 1 imposes onerous legal and administrative compliance burdens and costs on candidates, citizens, civic groups, unions, corporations, and nonprofit organizations. Many of these provisions violate the First Amendment, protect incumbents, and reduce the accountability of politicians to the public. Reduce the number of Federal Election Commission membersfrom six to five, allowing the political party with three commission seats to control the commission and engage in partisan enforcement activities. Prohibit state election officials from participating in federal elections and impose numerous other “ethics” rules that are unconstitutional or unfairly restrict political activity. Require states to restore the ability of felons to vote the moment they are out of prison. Section 2 of the 14th Amendment gives states the constitutional authority to decide when felons who committed crimes against their fellow citizens may vote again. Congress cannot override a constitutional amendment with a statute. Transfer the right to draw congressional districts from state legislatures to “independent” commissions whose members are unaccountable to voters. H.R. 1 makes it a violation of federal law to engage in “partisan” redistricting and mandates inclusion of alien population, both legal and illegal, in all redistricting. This is an anti-democratic, unconstitutional measure that takes away the ability of the citizens of a state to make their own decision about redistricting. Violate separation of powers and directly interfere with the President’s constitutional duties. H.R. 1 bans his political appointees, such as the Attorney General, from participating in, directing the defense of, or assisting in any matter (including lawsuits against a President’s policies, programs, executive orders, or his enforcement of the law) in which the President is named as a party. H.R. 1 is Speaker Nancy Pelosi’s signature piece of legislation for the 116th Congress. 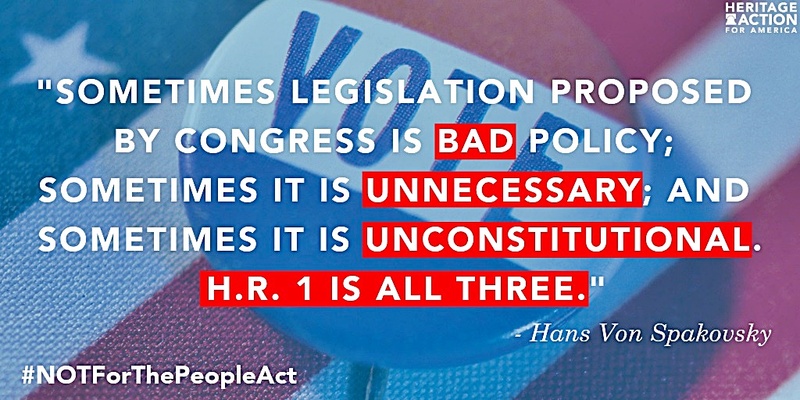 Deceptively titled “For the People Act,” its primary goal is to rig the election system in favor of Democratic politicians by undermining America’s electoral process. Under H.R. 1, massive amounts of elections-related power would be transferred from the states to the federal government. The bill interferes with the ability of states and their citizens to determine qualifications for voters, to ensure the accuracy of voter registration rolls, to secure the integrity of elections, to participate in the political process, and to determine the district boundary lines for electing their representatives. The end goal of H.R. 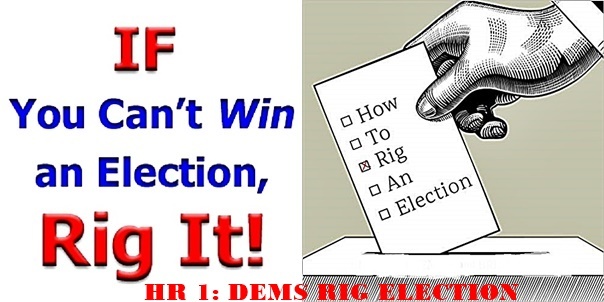 1 is clear—to enshrine into law dubious electoral practices that enable and encourage fraudulent behavior, such as ballot harvesting, false voter registrations, duplicate voting, and ineligible voting. Sabotages state voter ID laws—When arriving at the polls, voters will not be required to show ID and can simply sign a statement in which they claim to be who they say they are. This undermines many states’ voter ID laws, which were enacted to combat impersonation fraud, voter registration fraud, duplicate voting, and voting by ineligible individuals, such as illegal aliens. Mandates same-day registration—States will be required to immediately register a person to vote upon request, even on the day of an election. With no buffer-period to verify personal information, this provision could easily lead to voter fraud. Automatically registers ineligible voters—States will be required to automatically add to voter registration rolls every person, regardless of voter eligibility, who partakes in certain government programs, such as receiving welfare or obtaining a driver’s license. Other provisions of H.R. 1 then restrict the ability of states to verify eligible voters and the removal of ineligible voters from voter registration rolls. This provision will automatically enroll ineligible voters such as illegal aliens. Unconstitutionally requires states to restore the ability of felons to vote—Upon release from prison, every felon would immediately be restored the ability to vote. The 14th Amendment to the Constitution allows states to restrict voting rights to those who have participated in “rebellion, or other crime.” States have the constitutional authority to decide when or if to restore that right, as long as they do so in a manner that is not racially discriminatory. H.R. 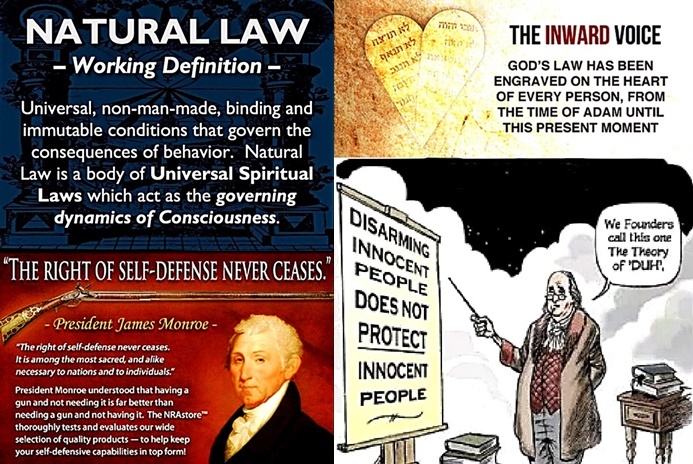 1 would attempt to unconstitutionally overrule the 14th Amendment with a statute. Violates the First Amendment—H.R.1 deters political free speech by inserting a provision that makes it a criminal offense to provide “materially false” information that will “impede or prevent” someone from registering or voting. This provision is so vague that it would likely interfere with free speech and other legitimate activities. Requires ballots be counted outside of the voter’s precinct—This removes the integrity of the local government to verify voter rolls and oversee elections and gives the power to count votes entirely to the federal government. Creates unaccountable redistricting committees—Currently, congressional district lines are drawn by state governments which are accountable to their constituents. Allowing unelected officials to determine congressional districts is a nakedly political ploy to draw more Democratic districts. Alters Federal Election Commission into a partisan organization—Currently the FEC has six members (three from each party), preserving its bipartisan nature. H.R. 1 would reduce the number to five, giving one party a majority and the opportunity to weaponize the FEC for their party’s benefit. Helps Liberals in Elections—R. 1 is designed to fund, elect, and maintain liberals in Congress, it even allows for using taxpayer dollars to fund candidates. Federalization of the Election Process—R. 1 allows for overreaching federal authority of election processes by imposing unnecessary and unconstitutional mandates on states. Removal of Redistricting Power—Under this bill, the power to draw congressional districts would be given to an unelected third-party. Automatic Registration of Ineligible Voters—R. 1 interferes with states’ abilities to determine qualifications for voters and destroys the accuracy of voter registration rolls. No Accountability for Vote Counting—Destroys the sanctity of the election process and endangers our democracy by requiring ballots be counted outside the county’s precinct. Felon Voter Registration—Upon release from prison, felons are automatically allowed to register as voters. Unchecked Voter Identification—States will be required to register voters on the day of elections and instead of requiring voters to bring ID to the polls H.R. 1 allows for people to simply “sign a statement” confirming identification. With no buffer-period to verify personal information, this provision could easily lead to voter fraud. My name is [NAME] from [CITY AND ZIP CODE] and I am calling today to urge [MEMBER OF CONGRESS] to vote against H.R. 1. 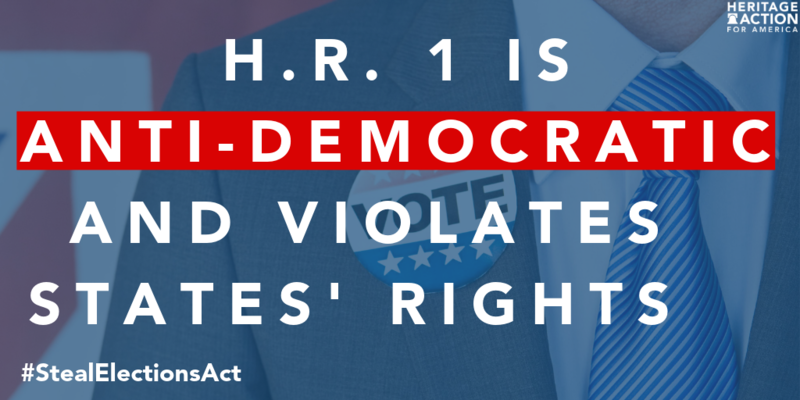 This bill strips states’ rights to regulate their individual election processes and undermines the integrity of our election process. This micromanaging attempt at federalizing the election process destroys the sanctity of the election process and endangers our democracy. As with most programs, voting is best regulated at levels closest to the people. These requirements will make it harder to detect fraudulent votes and make it easier for illegal immigrants and other ineligible voters to be registered to vote. As a constituent of [MEMBER OF CONGRESS], I am asking that they stand for election integrity and vote against H.R. 1. Below is a sample letter to the editor. We encourage you to adapt and personalize the letter below. Heritage Action Regional Coordinators are always here to help edit your letter and get it published. Public confidence and trust in the validity of election results is key to increasing voter participation. Americans deserve a fair and accurate election process. This means not only making sure that every eligible individual is able to vote, but that his or her vote is not stolen or diluted through fraud. The Democrats “For the People Act” (H.R. 1) unfortunately would both enable and increase fraud. H.R. 1 would sabotage state voter ID laws, which currently combat impersonation and voter registration fraud, duplicate voting, and voting by ineligible individuals like illegal aliens. Under H.R. 1, someone could simply sign a statement in which they claim to be who they say there are. This would be on top of allowing same-day voter registration. The combination of these two policies that H.R. 1 outlines would open the door for massive fraud. The bill would also require automatically registering individuals to vote who partake in government programs such as receiving welfare or obtaining a driver’s license. This would automatically enroll ineligible voters such as illegal aliens who take advantage of government programs. In addition, it limits states ability to verify eligible voters and remove ineligible voters from registration rolls. In addition to these dangerous policies, it would turn the Federal Election Commission into a hyper-partisan body. Currently the FEC is bipartisan, with six members (three from each party). H.R. 1 would reduce the number to five, giving one political party a majority and the opportunity to essentially rig elections in their party’s favor. Sometimes legislation proposed by Congress is bad policy, sometimes it is unnecessary, and sometimes it is unconstitutional. 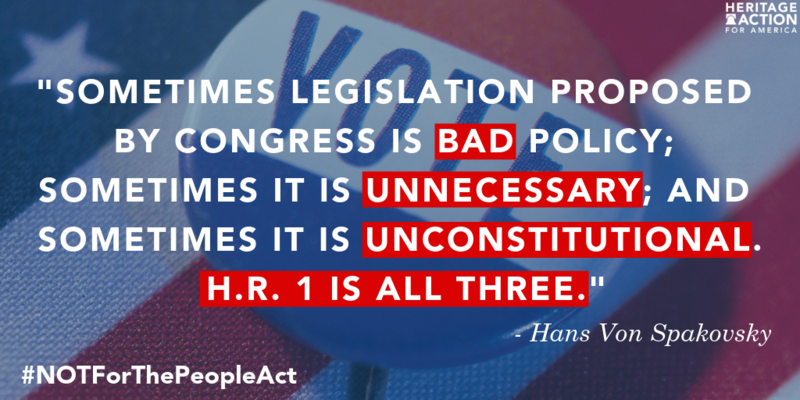 “For The People Act” includes policies that are all three, and I am urging [insert Representative’s Name] to reject this bill. Heritage Action turns conservative ideas into reality on Capitol Hill. We do that by holding lawmakers accountable to their promises to advance the conservative principles of free enterprise, limited government, individual freedom, traditional American values, and a strong national defense. We work directly with federal lawmakers inside and outside of Washington—the only way to bring about the conservative policies that hold true to our Founding Fathers’ ideals. Heritage Action exists to ensure that these ideals are not only maintained but flourish, both now and for future generations. Heritage Action’s unique strategy combines inside-the-Beltway lobbying with outside-the-Beltway grassroots pressure. Our Capitol Hill lobbying team works directly with lawmakers and their staffs to implement conservative solutions—solutions drawn from our partners at The Heritage Foundation. While other lobbyists push for a special interest agenda, we lobby on behalf of American principles. And our groundbreaking legislative Scorecard grades lawmakers on the votes and bill co-sponsorships that are most critical to advancing the conservative mission over both the short and long term. Meanwhile, our team of grassroots coordinators organizes an elite group of almost 20,000 Sentinel activists who are on the front lines of the conservative fight. Leveraging personal relationships with lawmakers and tools like letters to the editors and calls to Congress, they apply essential political pressure that holds their representatives accountable to our nation’s founding principles. Since our founding in 2010, Heritage Action has both thwarted the liberal agenda and advanced conservative principles. We have kept up momentum for Obamacare repeal even when the Establishment has declared it not worth fighting. We have led the fight for both spending cuts and tax cuts, and our bold stance against confirming any of Barack Obama’s judicial nominees in 2016 paved the way for Neil Gorsuch’s confirmation to the Supreme Court in 2017. Justin liked what his friend put together and submitted it to post on my blogs with two different titles to choose from. Both titles are appropriate so I used both as a primary and a subtitle. Justin’s submission is a passionate opinion defending America and calling for support for President Donald Trump. The Trump support is under the premise of – Just think where America would be now if Trump had lost. That would be Crooked Hillary perpetuating a corrupt Obama legacy, further corrupting the U.S. government drawing our nation closer and closer to a Marxist-Socialist despotic state devoid of the Freedom and Liberty envisioned by our Founding Fathers. If you love America, you’ll love this opinion. If you support the Dem Party Agenda or believe the Mainstream Media lies, you undoubtedly will despise this opinion. Some of You out there are so anti-Trump, You would destroy the Republic rather than give him any credit for trying to save the Republic. I get it. I stand against him on some issues myself. But to castigate him for upholding existing immigration laws and trying to provide border security, build the wall and more is just insane. You castigate him for using U.S. LAWS that CONGRESS PASSED, IN THE SAME EXACT MANNER THAT ALL PREVIOUS PRESIDENTS HAVE DONE. He had the absolute Righteous and Legal authority to act within His National Emergency Powers as President of the United States. And then when I go into detail on the topic You attack me as having “been played”. If You cannot discuss this topic or any other topic on the merits of the facts without focusing on me, The Messenger, JUST LEAVE. I used the catch-phrase and self-identified as “Never Trump” in only one article, when I was supporting Senator Ted Cruz, only to drive home the point on how opposed I was to his candidacy. And as I previously noted, I find him weak in some areas, especially pertaining to the Bill of Rights. However – THANK GOD HE WON!!! Seeing what would have been in his place had he lost — from the weak-kneed Never Trumper status quo establishment RINO types to the Red, Radical Communist Hillary is enough to give anyone the heebie-jeebies. And in the meantime, IF ONLY ON THIS ONE ISSUE, PRESIDENT TRUMP IS DOING AN OUTSTANDING JOB, ONCE ONE CONSIDERS THE RYAN BETRAYALS AND SO MANY OTHERS WITHIN THE PARTY THAT IS SUPPOSED TO SUPPORT HIM — WHILE ALSO WITHSTANDING WITHERING ATTACKS FROM THE COMMIE DEMOCRATS. Keep attacking Trump when it is certainly unwarranted, and You will be aiding the Democratic Party and adding one more step towards a Commie takeover of America, placing all Americans’ backs against the wall trying to fight off the ensuing tyranny. Never in all my years did I ever think I would see so many Americans completely turn their backs on everything good and decent, that our country was founded and built upon; from honoring our Judeo-Christian roots and our philosophy that emanated from the Western Enlightenment and the Christian Bible to our God-given Rights and Life itself and the idea that marriage is between one man and one woman, and on to our freedom, the Constitution, our national sovereignty and God Himself. “What has happened to our country? We elect Muslims who want to impeach OUR President, we want our children born without an identity, we allow thousands of people to cross our borders illegally — committing heinously evil crimes — we call a Wall immoral, and yet we condone ripping babies piece by piece out of their mother’s womb. How much more immoral can we become? We cry for compassion as homeless Veterans and seniors suffer, yet we have compassion for invaders who are here illegally and will never serve or pay a dime. “Americans need to STAND UP and take this country back. 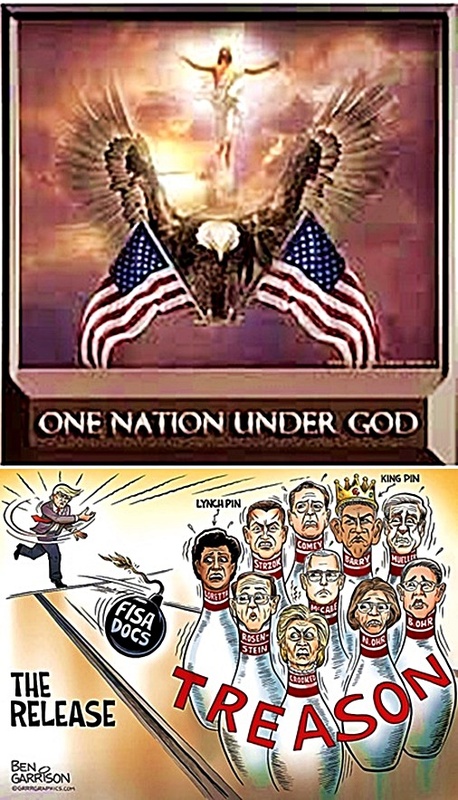 The time for talking about it is OVER.” ~ Ed, an American Patriot. Yes … little by little … and now at breakneck speed, the Red, Radical Democrats have always intended to destroy our Republic, since 1913, at least, and they are on an all or nothing all-out effort to complete its destruction, using tactics they sweetly refer to as “transformation”. Evil comes like a thief in the night, and it has overcome America at the moment. We must pray for America and help God help Us, by fighting back with everything we’ve got, peacefully if possible and to the death if necessary; failure is no option. Fire with Fire … By ballot or bullet … at this point, I care not which … I aim to keep this America I love so well free. I owe it to my Children and Their Children’s Children. Source links or text embraced brackets are by the Editor. Justin O. Smith has lived in Tennessee off and on most of his adult life, and graduated from Middle Tennessee State University in 1980, with a B.S. and a double major in International Relations and Cultural Geography – minors in Military Science and English, for what it’s worth. His real education started from that point on. Smith worked 8 years for the LaVergne Fire Department – two years as their clean-up boy – and became a working fireman at age 16, working his way through college and subsequently joining the U.S. Army. 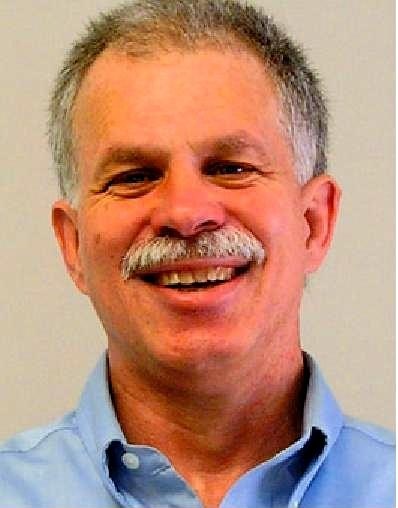 Since then he primarily has contracted construction and traveled – spending quite a bit of time up and down the Columbia River Gorge, in the Puget Sound [and] on Whidby Island and down around Ft. Lauderdale and South Beach. Justin currently writes a weekly column for The Rutherford Reader in Murfreesboro, TN, which he calls home, in addition to being a frequent contributor to the Federal Observer – and spend as much time as possible with his two beautiful and intelligent daughters and five grandchildren. Justin Love God, Family and Our Majestic and Wonderful America, and am a Son of Liberty.